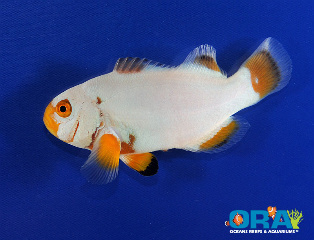 The Helfrichi’s Firefish is also known as the Helfrich’s Dartfish, or Helfrich’s Firefish. The head is distinctly yellow with a purple forehead, and the body is varying shades of purple and white. It requires a 10 gallon or larger aquarium with plenty of loose coral rubble as part of the aquascape, and a tight-fitting lid to prevent it from jumping out of the tank. 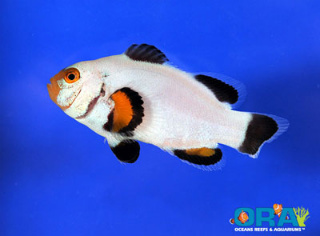 It will rarely become aggressive towards other fish, but is territorial, and will fight with its own kind unless they are a bonded pair. 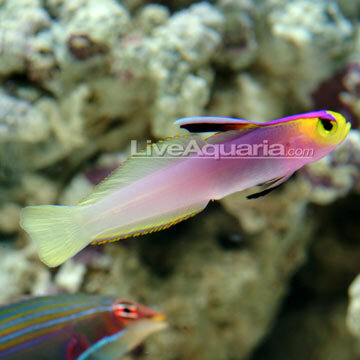 The Helfrichi’s Firefish will feed mostly on prey suspended in the water column, but will pick food off the substrate. Its diet should vary between chopped or shaved seafood, vitamin-enriched brine shrimp, and mysis shrimp. Now includes a 5 Year Limited Warranty! The new LiterMeter III™ is an automatic precision dosing pump for the aquarium and horticulture industry. Three independent programs control one built-in pump and one or two external pumps. Perform 2-way water changes, in addition to eliminating the manual drudgery of dosing Kalkwasser, trace elements, or topping off evaporated water. Quiet operation, auto-calibration, and virtually maintenance-free. The new aquarium dosing pump is crafted from precision-machined aluminum fabricated to exacting aerospace tolerances. For example, such critical tolerances as the rollers are machined to +/-0.0005″. The outer surface is polished to a mirror finish. Internal surfaces are held to a 63 micro inch finish and hard anodized to provide a durable and low-friction raceway. The pump’s planetary direct drive is at an 11:1 ratio, thus providing enough torque to generate over 40 pounds of pressure. This incredible lift enables the LiterMeter III™ to pump over 60 feet above itself at a flow rate of over 250 ml/min. It can also draw up from 25 feet below. The motor in the LiterMeter III™ is made by a manufacturer of precision high reliability motors made to our specifications as a peristaltic drive motor. The pump is so reliable we now offer a five year limited warranty. Calcium maintenance and alkalinity control are essential for a healthy reef tank. SpectraPure’s LiterMeter III™ eliminates the manual drudgery of dosing Kalkwasser, trace elements, or topping off evaporated water. Kalkwasser replenishment, to be most effective, should be added to your aquarium slowly and consistently to avoid precipitation of calcium carbonate. The LiterMeter III™ automatically and reliably performs this task for you. The LiterMeter III™ offers features found only on expensive laboratory pumps. 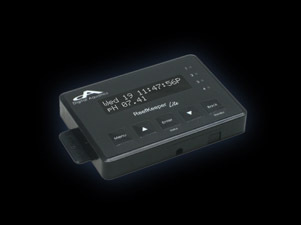 Built-in calibration features eliminate the guesswork of un calibrated competitive units. 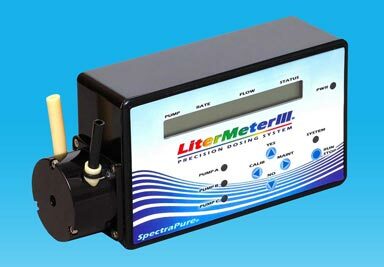 Unlike noisy industrial metering pumps sold to the aquarium trades, SpectraPure’s LiterMeter III™ was specially designed for critical aquarium dosing and is so quiet you can use it in your living room. Improved three-roller direct-motor drive eliminates noisy gears and improves flow accuracy and tubing life. It can be run dry without damage. Three independent programs control the internal pump, as well as two optional external pumps. The LM3-RPM is a LiterMeter III™ pump mounted in a small plastic box. The LM3-TCM is an optional level sensor that interrupts power to the LiterMeter III™ when a high water level is detected. The LM3-WXM combines an LM3-RPM and an LM3-TCM in one package, interrupting power only to that pump. See the Operations Manual for application examples. With the debut of an unprecedented series of aquarium equipment, dramatic new opportunities now unfold for you to create your ultimate aquatic showcase. The flagship of the Marine Series is a range of Deep Dimension Corner-Flo™ Aquariums, each 36 inches from front to back—the largest production tanks ever, available with high-definition Starphire® glass. You can select any Marine Series component by itself or choose a complete, matching reef-type system. Generous under-tank areas for filter systems and supplies, and for easy, convenient maintenance.